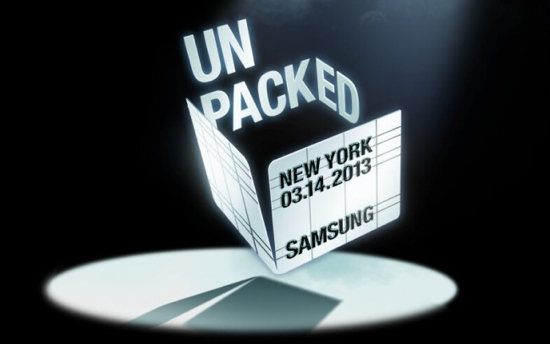 With Samsung’s press event a short time away (tonight at 7PM Eastern, to be exact), more photos and videos have come out showing the new hotness that is the Galaxy S IV. These new leaks leave little doubt as to what the new device will look like and to most of its cooler features. The high-quality photos, curtesy of IT168, show the handset’s sleek design in sharp detail and pretty much confirm what everyone already thought it would look like. The videos also do pretty much the same and highlight several of the features of the Galaxy S IV including floating touch, a new lock screen and the devices speed at browsing the Internets. The Samsung Galaxy S IV is expected to feature a 5-inch Super AMOLED HD display, an eight-core Exynos processor or a quad-core Snapdragon chipset depending on region, up to 64GB of storage, 2GB or RAM and Android 4.2 Jelly Bean. Check out the photos and the videos after the break. Towards the end of last week, a document found its way to the site Scribd, which acts as a host to tons of online files such as press releases, manuals, books or pretty much any other text based file. This 56 page document detailed a supposed 5 year plan of Microsoft’s for the end of the XBox 360’s lifecycle and beginning of a new console generation in 2013. Since being leaked, this still unconfirmed document has been removed. When you attempt to go to any links to the document, it says it has been removed by the request of Covington & Burling LLP, a business and corporate law firm. The removal of this document could be a sign about some of the validity to items within it. In the document, some important things of note were both a date and price for the upcoming console. The document talks about a new console launching in 2013 (presumably in the fall since there was no mention of a console at this year’s E3 from Microsoft) at a $299 price point with an updated version of Kinect. This Kinect will supposedly have improved functionality and support up to four players if plans pan out. This Is The Next iPhone From Apple? Granted, we tend to take many things with a giant grain of salt around here, especially news and photos claiming to be anything coming from Apple that hasn’t been officially announced by the company. With Apple’s well known obsession with secrecy and controlling the message leaks, especially of this magnitude, just don’t usually happen. So, it was with that giant grain of salt that I took a look at the photos and specs of the supposed new iPhone which is now being showcased by the gang at Gizmodo. The new iPhone, reported to have been “found in a bar” and then given to the site, has a radically different design and features that seem, at least on the surface, to be real. Although, I do have a hard time believing any Apple employee with this kind of access would accidentally leave something like a new iPhone in a bar. I personally know several people who work for the company and have met many more over the years and I’m pretty sure none of them are that stupid. Still, I guess anything is possible.